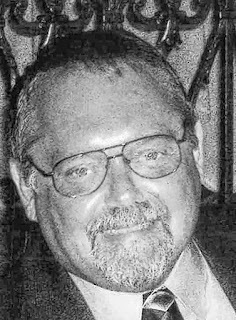 FERGUSON - John W. "Fergie" of Buffalo, entered into rest September 22, 2018; beloved husband of Jennie M. (nee Bellomo) Ferguson; devoted father of Kristine Ferguson and Tina (late John) Ketterer; cherished grandfather of Shelby, Tyler, Leigha and Faith; loving son of the late John and Henrietta Ferguson; dear brother of the late Ronald Lang; also survived by relatives and friends. Relatives and friends may visit the LOMBARDO FUNERAL HOME (Northtowns Chapel), 885 Niagara Falls Blvd., near Eggert/Sheridan, on Thursday from 4-8 PM, where a Funeral Service will be held Friday morning at 10 o'clock. Entombment Holy Sepulchre Cemetery. John was a Veteran of the US Army.